It is important when considering the works of the following 3 artists that they are placed in socio-cultural context. 20th Century Spain witnessed a massive turn in its fortunes, beginning with the development in the early 1930’s of the left-leaning, progressive Republican government who wished to engage the people with the arts through their missiones pedagógicas. The Spanish civil war of 1936-39 marked a break in the development of the arts and during the Franco regime, Spain practised a massive, sweeping censorship which inevitably limited artistic expression. 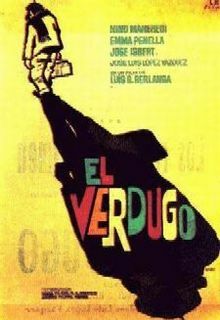 Luis García Berlanga, Federico García Lorca and Ana María Matute all lived through tumultuous periods in Spains history where they came under the scrutiny of censorship under General Franco’s regime which would challenge their attempts at accurate, honest portrayals of the societies they lived in. What is prevalent not only in García Lorca’s play but the films of Berlanga and the short stories of Matute is that they all carry strong critiques of their society and have contributed massively to Spanish 20th century arts.